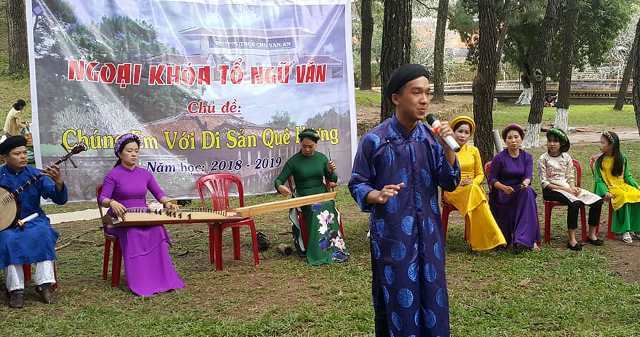 In the framework of extracurricular activity “Students with hometown’s heritages” held by Chu Van An Secondary school on the afternoon of January 13 at Tu Duc Tomb, Ca Hue club held a program to introduce Ca Hue to students. 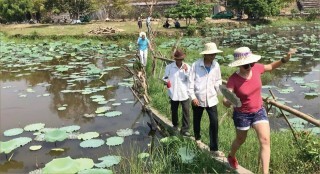 The singers, artists of Ca Hue Club introduced to students the basic knowledge about Ca Hue, the performance space and traditional musical instruments. 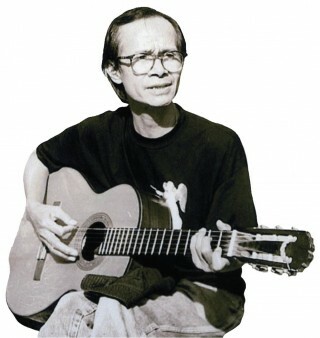 The students were also introduced to folk music, folk songs, as well as listened to the songs and tunes related to Nguyen Dynasty such as “Pham Tiet” (Dignity) with lyric written by Mai Am Princess, “Long Ngâm”, “Lộng Điệp”, “Lý mười thương”, etc. 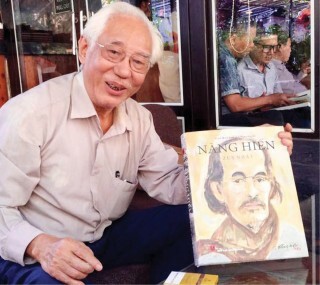 This is an activity expressing the efforts of Ca Hue Club in bringing Ca Hue into schools, helping students to learn and love traditional art of the homeland. 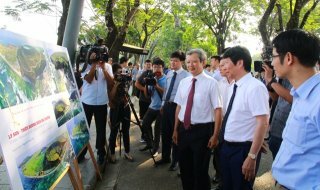 Previously, the same program was held at Nam Dong Ethnic Minority Boarding-school, Phu Xuan Secondary school, Quoc Hoc Gifted High school and Nguyen Hue High school.